Cleansing towelettes are useful and handy - and very expensive. Wet cleansing towelettes are becoming increasingly more popular. The towelettes are especially useful if you are travelling. The significant advantage: they can easily be stored in your carry-on luggage and will pass through every security inspection at the airport. And the performance of the towelettes also speaks for itself. Most towelettes remove makeup and mascara without any trouble. This is mostly done by oil and water, but also with wash active substances (Tensides). There are also often included allergenic fragrances. In any case, it would be a good idea to use some warm water after the use of these towelettes, to remove the last bits of make-up, but also the oil and tenside from the skin. If they stick to the skin, it could lead to irritated skin and clogged pores. Cleansing towelettes are convenient in use, but they are also costly and not very environmentally friendly. 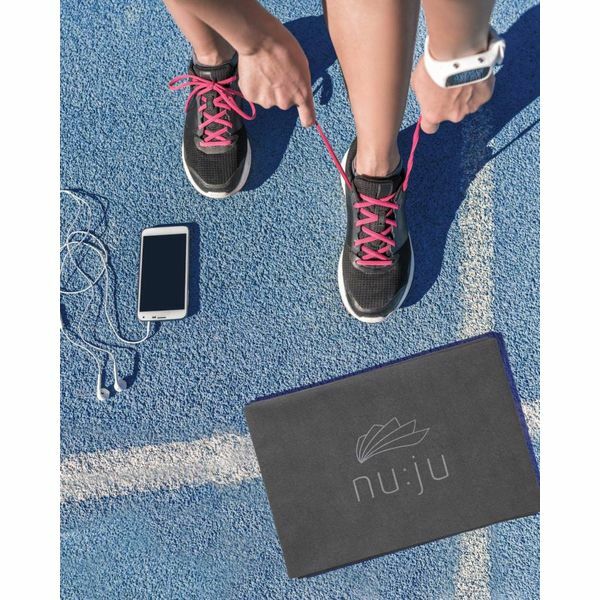 The reusable nu:ju cleansing cloths are cheaper to use and better for the environment. The performance is the same, and you do not have to worry about allergenic substances. Other cleansing products are not necessary anymore. You also no longer have to use peelings, thanks to the exfoliating properties of the cloth. The nu:ju cleansing cloth costs from 8 euros and can be used for approximately one year. So, it is not just good for your wallet, but also for the environment!